Peter Schiff says that many hedge fund and stock market managers being interviewed in 2013 all saying they were “short gold,” or betting that the price of gold which they didn’t even own, would go down. So if gold goes up, they will have to buy gold to cover their shorts. 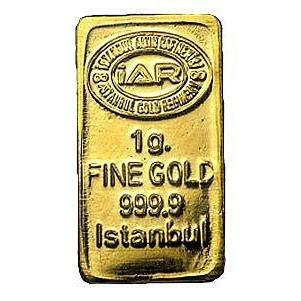 Buy very very expensive gold. In other words, they won’t be able to buy that expensive gold. If they don’t get bailed out, buh bye! NO FINANCIAL ADVICE – The Information on this forum is provided for education and informational purposes only, without any express or implied warranty of any kind, including warranties of accuracy, completeness, or fitness for any particular purpose. The Information contained in or provided from or through this forum is not intended to be and does not constitute financial advice, investment advice, trading advice or any other advice. The Information on this forum and provided from or through this forum is general in nature and is not specific to you the User or anyone else. YOU SHOULD NOT MAKE ANY DECISION, FINANCIAL, INVESTMENTS, TRADING OR OTHERWISE, BASED ON ANY OF THE INFORMATION PRESENTED ON THIS FORUM WITHOUT UNDERTAKING INDEPENDENT DUE DILIGENCE AND CONSULTATION WITH A PROFESSIONAL BROKER OR COMPETENT FINANCIAL ADVISOR. You understand that you are using any and all Information available on or through this forum AT YOUR OWN RISK. RISK STATEMENT – The trading of stocks, futures, commodities, index futures or any other securities has potential rewards, and it also has potential risks involved. Trading may not be suitable for all users of this Website. Anyone wishing to invest should seek his or her own independent financial or professional advice. According to Benjamin Fulford, at one time 85% of all gold reserves were in China. I wonder why they are shorting gold??? If I had money I would be buying up as much as I could. I can’t imagine what they are thinking. Is there something we don’t know about? In my opinion, no. The hedge fund manager are clever sillies and group thinkers. They become hedge fund managers by group thinking. People on the internet were calling the housing bubble in 2004. We got laughed at for 3 more years, then in 2007, the housing bubble burst. But the same people that are shorting gold now were long on housing in 2007 and got caught with their pants down. I called the tech bubble in 1999. I warned a co-worker not to purchase an expensive apartment and get in massive debt. Of course if he held that apartment it probalby went up in the housing bubble, but the bursting of the tech bubble made him unable to make his mortgage loan payments. So he lost his apartment. Watch the boom and bust cycle. With the internet it’s pretty easy. you can get rich on the boom and bust cycle if you buy the right thing and you can hold it before the next boom/bust. Some asset will vastly grow in value from the beginning of either a boom cycle or bust cycle until the next phase. There are a couple of scenarios where gold goes down. Also shorting gold might mean shorting mines that are about to get nationalized, or look like that might happen. yes gold will go up in value, but the stock won’t. Shorting paper on the stock exchange isn’t quite the same thing as borrowing blocks of gold to sell them. Lastly there is the issue of the divergence of gold from its traditional ratio from silver which suggests that either gold is overvalued, or silver is undervalued, and whatever is causing that will eventually end. what are the scenarios where gold goes down? they are shorting gold bars on the COMEX and such things. So yes, they are shorting directly against the metal price. a doomsday deflationary collapse where they lose control of everything would pretty much wipe out all value including gold. that is hardly something you want to bet for on the stock exchange however. Another possibility is that the shorts could be attempting to push over any leveraged up margin pyramids of gold, which would cause a cascade of gold spiralling down, atleast in the short term. How would it wipe out the value of gold? the doomsday collapse scenario would wipe out the economy that has made it possible for gold to be valued highly in the first place. It would still be worth something, but concepts like 1200$ an ounce would cease to have meaning. If you’re asking about the margin pyramid though, that is straight up forced selling, with panic selling compounding the issue. How much would gold be worth relative to a foreclose farm or a recently abandoned apartment building near a downtown? My scenario is that in a collapse I will buy a farm and some apartment buildings to house my (white) farm workers. Maybe multiple farms and apartment houses. “How much would gold be worth relative to a foreclose farm or a recently abandoned apartment building near a downtown?” – that would be pure speculation. I’d imagine that the only people that would sell gold under any circumstances though would be those forced to do so(no other way to acquire food/water for example) if this were to come to pass. Perhaps they have their shorts on backwards. . .
Is that gold buying site reliable? Has anyone here actually brought any off it? I have bought from property room. You can also call around to gold and silver places in your area and ask if they have it in grams.